STUNNING, SPECTACULARLY CUSTOMIZED, HIGHLY-DESIRED REAR GROUND-FLOOR CONDO. Stunning and unlike the rest - with custom built-ins found throughout. Features include a master suite and a 2nd Bedroom on opposing sides of the condo with massive walk-in closets - the luxurious master bath has dual sinks, a separate soaking tub and a large glass framed shower. The gourmet kitchen is equipped with top of the line appliances, including a Wolf gas range & opens to the dining and living area, boasting updated hardwood floors & exquisite finishes throughout. The living room opens to a large private garden terrace with upgraded planters & low voltage lighting. A custom lighting system is throughout the condo. Full sized washer/dryer inside the condo! There is 2 car parking as well as 6 guest parking spots. 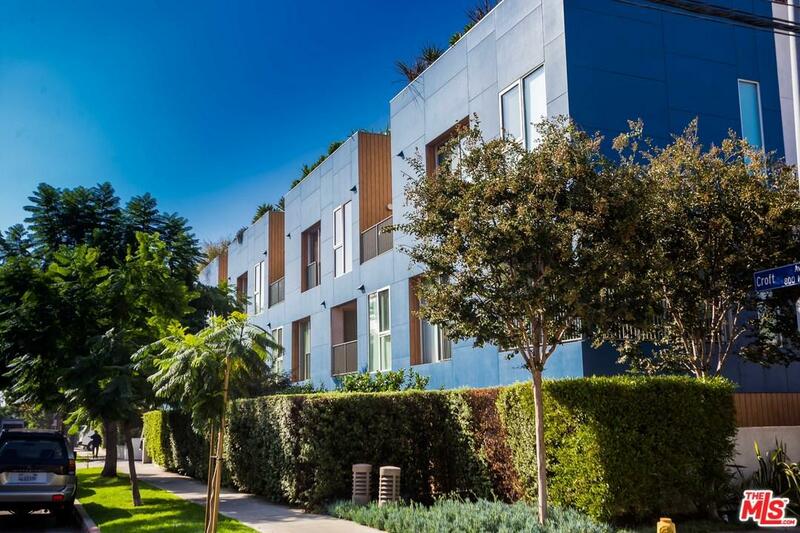 Fantastic opportunity to live in Melrose Village's finest building, steps from boutique shops and eateries and mere minutes from the Sunset Strip and Beverly Hills. Easy to show!